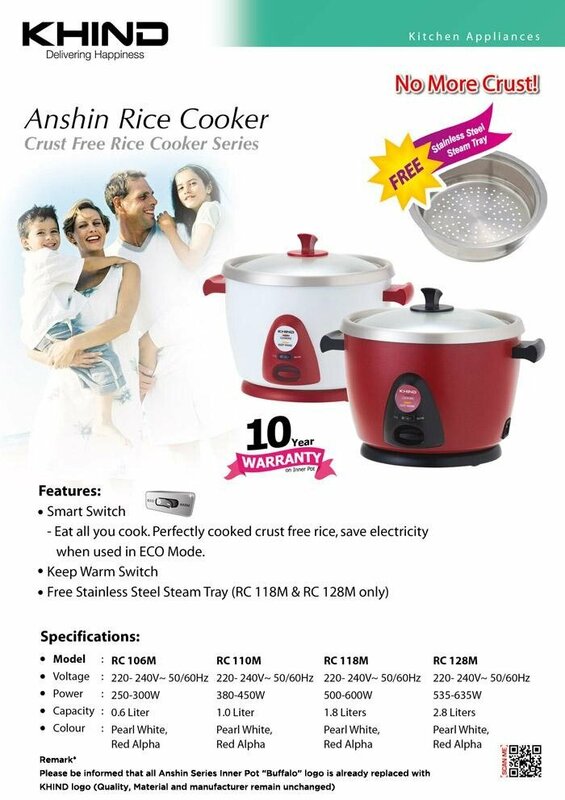 Khind Anshin Rice Cooker RC118M Smart Rice Cooker cooks rice to its perfection! During cooking, just switch to its 'ECO' mode, and the power supply will be automatically cut off when the rice is nearly cooked.The heat energy of the inner pot will continue to cook rice to its perfection. The end result is crust free rice which is the dream of every homemaker. Should you need to heat up the rice again, just stir it loose, sprinkle some water on it, keep the Smart Switch at its 'ECO' mode and switch on the cooking switch.